The High Altitude (Weather) Balloon project driven by Arduino is was a great success! It shall be known as the Aurora-1 DIY Space Mission. I have always dreamed of sending something to space. Until recently, this was just simply not an option for the average hobbyist. When I became involved in developing on the Arduino platform I realized that all of the instrumentation, tracking and control were now relatively easy to produce with very little cost. A friend prompted me to revisit this dream (over a drink of course) and I took it up with a renewed interest. We basically decided that we would send a balloon into “near space” in time to meet the Stanford high Altitude Balloon Challenge ” in April 2014. Quickly I began work on the electronics, enclosure, data logging, temperature control and other various systems. My fellow friends/team members are charged with the rigging, recovery, flight predictions and several other project needs. All aspects of the build were documented and shared via YouTube. Open the link below in a new window to follow all the videos from inception to final build/launch. For the Arduino Data logger I developed the below code. It is not optimized and is a bit ugly- but collects the data from the temp sensors, real time clock, barometric pressure sensor and battery voltage. very well. 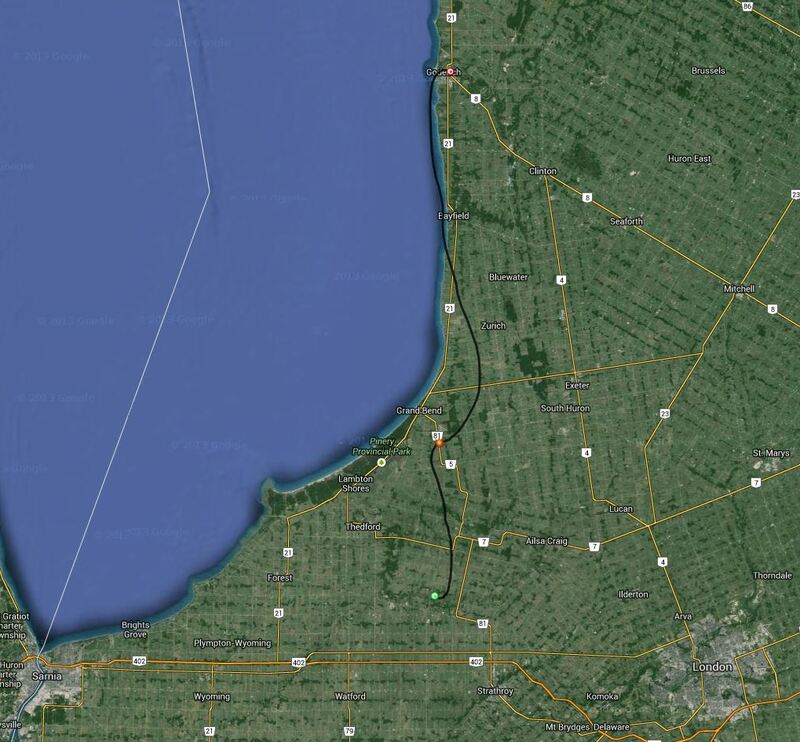 Launch was from Goderich Ontario Canada and was recovered to the south of Grand Bend Ontario. 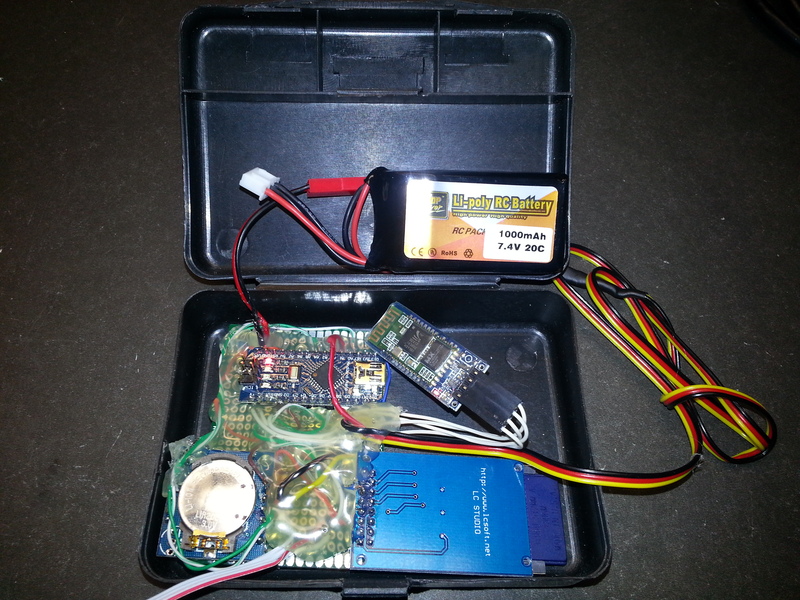 This is the COMPLETE code for the data logger. Take the Arduino code, use it and share it! 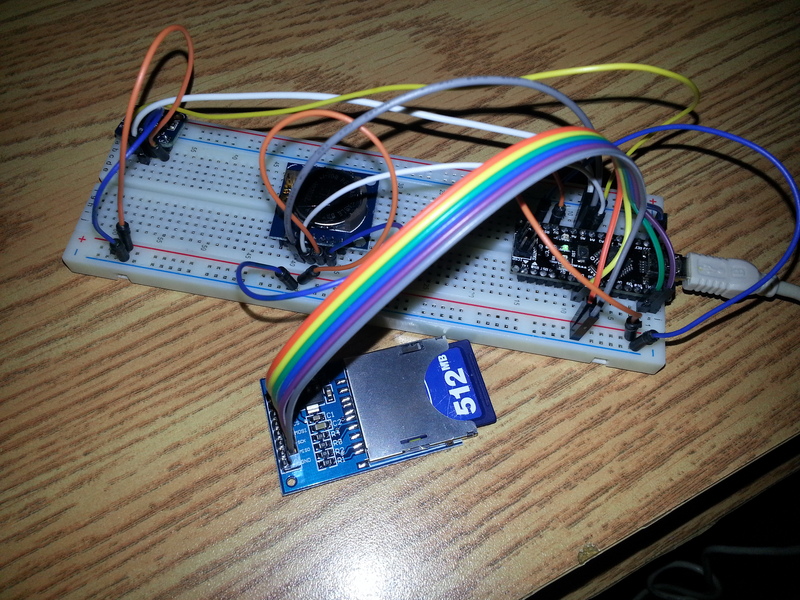 This example shows how to log data from analog sensors to an SD card using the SD library. is initiated so set ahead by a minute and wait till time matches then open serial window to set. Had to do 2 analog reads to debounce the values with a small delay. //Eric Note- another address showed up in scan at 0X50 EEPROM?